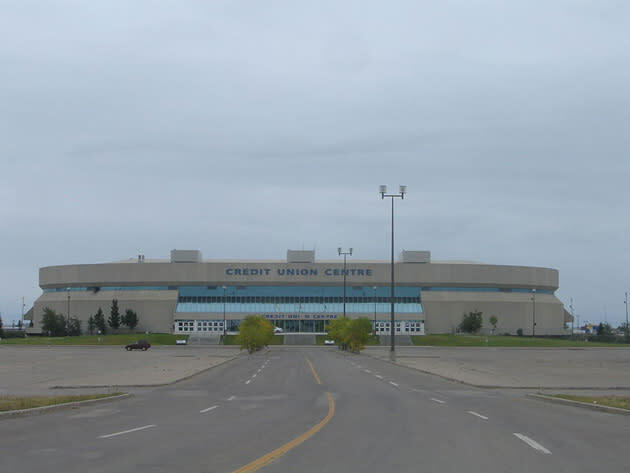 Could an NHL franchise wind up at Saskatoon's Credit Union Centre? There was a time when the idea of an NHL franchise in Saskatoon would have been worth little more than a cheap laugh. But the unexpected bid has gained some steam this year, to the point where some impressive individuals have thrown their support behind it. With the strong early returns in Winnipeg setting a precedent for potential success in a small market, the notion is worth at least a beard stroke these days. It's still a long shot, to be certain. The Conference Board of Canada reports that an NHL franchise couldn't survive with a population base below Winnipeg's 750,000, and Saskatoon's population base is about one-third that size. But if there's one big reason that you should be rooting for On Ice Management, the group trying to bring another NHL franchise to the Canadian Prairies, it's John Graham, the man at the front of it. He's played professional hockey in Sweden, beat cancer, broken down in the Sahara Desert while racing the infamous Paris to Dakar rally, pulled an unconscious fellow driver out of a burnt car during a race, and both introduced and nearly killed junior hockey in Moncton. That last tidbit is a little alarming. His previous experience running a hockey franchise was a disast -- wait, what? Pulled an unconscious fellow driver out of a burnt car during a race? I think I speak for all of us when I say this is far more compelling than Ted Leonsis in a rally poncho. It's an alarming scene, as the collision knocks racer Ron Fellows out and splits the fuel tank of his car, engulfing the vehicle in flames. But Graham, who was also the race's promoter and couldn't have a driver seriously hurt on his watch (at least that's the joke, according to the two men), stops his car, jumps out, and pulls Fellows from the vehicle just as he's coming to. Graham's been on the other side of a rescue, too. As the Star Phoenix article mentions, his car broke down and left him stranded in the Sahara desert during 1986 Dakar Rally. Thankfully, he was rescued by Nabila Khashoggi, the daughter of Saudi Arabian billionaire Adnan Khashoggi, at that time one of the world's richest men. Graham sounds like a total badass. All this in mind, it's interesting that we've heard very little from the man, who is, by all accounts, not shy. It makes even less sense when you consider that Saskatoon's bid could probably benefit from a little star power, which Graham clearly has. After all, the province nearly had an NHL franchise in 1983, when the St. Louis Blues were purchased by an ownership group led by Bill Hunter and on their way north before the NHL quashed the move due to the city's small-town image. That image still exists, and Graham's worldliness might be able to help change it. So why isn't he saying anything? Is he too busy participating in real-life balloon fights over the Atlantic? Unfortunately, no. Graham is simply playing it smart. The NHL has had its issues with attention-grabbing prospective owners (Jim Balsillie says what up, y'all), and would no doubt balk at Graham if he became the focus of the bid. And so, for the time being, the man who could be one of hockey's most interesting men keeps mum.